Before leaving for her first year of college, my oldest daughter made a poster of Instagram pictures to frame and hang in her dorm room. After her first year, she made a new one and left the old poster lying around at home. 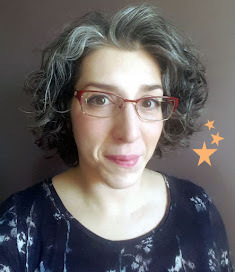 The problem: I didn't want to leave it out where it would get wrinkled and end up in the trash, or roll it up and put it into storage where it would just gather dust and take up space. The solution: I laid it on her desk, covered it with the plastic insert from an inexpensive poster frame & now she has something nostalgic to look at when she comes back home. 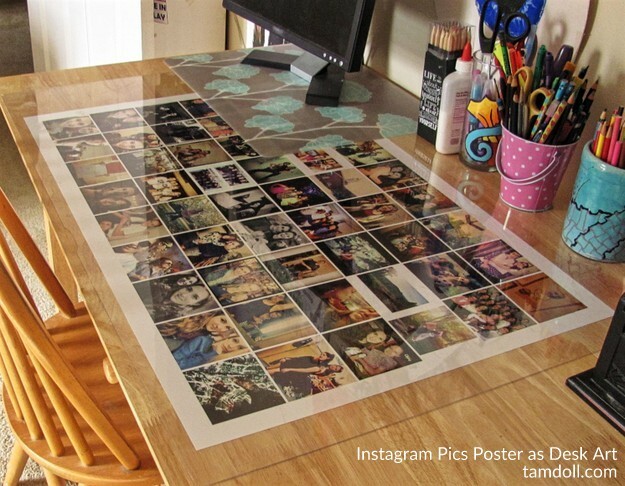 Instagram Pictures Poster + Plastic Insert = Desk Art! I labeled this project "recycling" because this was a creative reuse of two items I had around. Actually, any number of pictures, art, or papers could have been used here under the plastic. Poster created at socialprintstudio.com. My daughter said she's very happy with their printing and has gotten many posters and prints from them. Have any creative reuse stories to share?